Yeh Hai Mohabbatein: Ruhi to sense Rajat’s strange ignorance.. Raman doesn’t want Ishita to help him. He asks her to limit her help so that he gets independent like before. He tells her that he wants to remain strong. She tells him that he has always been strong and will be always strong, even if he doesn’t accept his strengths, that’s their family and inner will. She asks him not to give up so easily. She motivates him further by reminding him his successful life before. Raman feels miserable when he fails to manage his work on his own. Raman asks Ishita not to come running to help all the time, since this is making him feel vulnerable mentally. He doesn’t want anyone to make him feel like a loser. She leaves him alone, knowing he won’t like her sympathy. He finds her present again and gets angry on her for making him feel handicapped even mentally. He gets emotionally drained feeling bad about Ruhi and Ishita’s words. Ishita asks the family not to bother Raman much, as he wants to be alone. She wants to be his support by being far from him. Ishita gets a disturbing call from someone, who threatens her. The man scolds her for getting his brother arrested for misbehavior. She tells him that she isn’t scared of him. He threatens her further about her daughters. She can’t believe the mad bunch of people, troubling them so much. Raman finds happiness when Mihika leaves Adi with him. He gets worried when the lamp falls over Adi. He tries to save Adi as per his capabilities. Ishita reaches him and saves Adi. She asks Raman not to panic, as Adi is fine because of him. Raman tells her that he is feeling more incapable and useless since he couldn’t protect Adi on time. He demands Ishita to leave him alone. Rajat comes to meet a doctor and avoids Ishita’s call. He doesn’t want Ishita to know his whereabouts. Ruhi reaches the same hospital to meet her sick friend. She happens to see Rajat there and wonders why he is avoiding her intentionally. Rajat hides his secret. 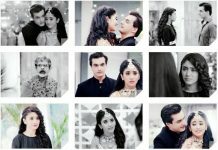 Ishita plans a romantic date for Raman, so that he gets his share of happiness. The goon’s brother troubles Raman and Ishita once again in order to take revenge. 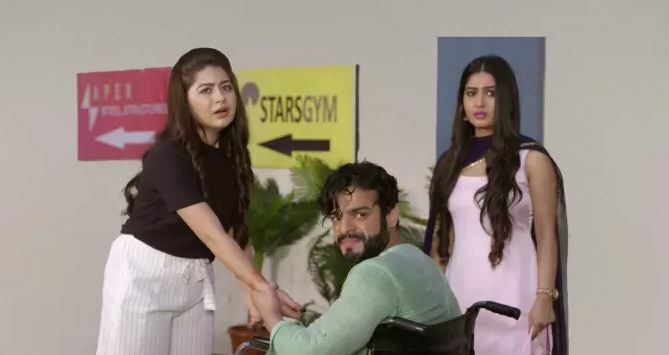 Raman feels disabled once again when he fails to save Ishita from the goon.